Are you a small business or individual looking to customise your own cookie labels? 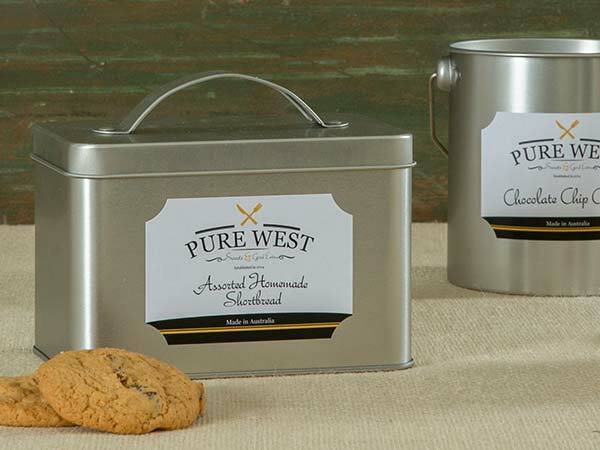 Our cookie labels are completely customised from start to finish to bring life to your product. Include your logo, ingredients and messages to share with your customers. Maybe you run a small bakery business or you're looking to add a label to your cookies. We suggest you look at our six materials to find which one is perfect for you. Would you like to add handwritten extras to your label? If so take a look at a cream textured paper, paper and brown Kraft paper as all three are good with pen and pencil. If you're looking for a waterproof label for your cookies, then take a look at plastic, waterproof material and clear which are all waterproof. This is ideal if your cookies spend quite a bit of time in the kitchen. Remember all labels have a permanent adhesive backing, they are reliable and long lasting. If you are not sure your logo or ingredients are perfect, many of our customers order a small test run. We offer a small minimum quantity which allows you to double check against your product at home. Make sure all your font sizes are readable for all ages. Once you have selected your label and uploaded your design we usually send out all orders within three working days. All our packages are sent out tracked UPS delivery as we need to ensure they arrive safely with you. Postage is only £2 which is a great price for next day delivery.